Michael is on a mission to save the plight of the Monarch Butterflies when their migration south from Canada to Mexico is threatened! Will Michael be able to change the fate of his fluttery friends? Find out in 'Michael Recycle and the Monarch Butterflies!' 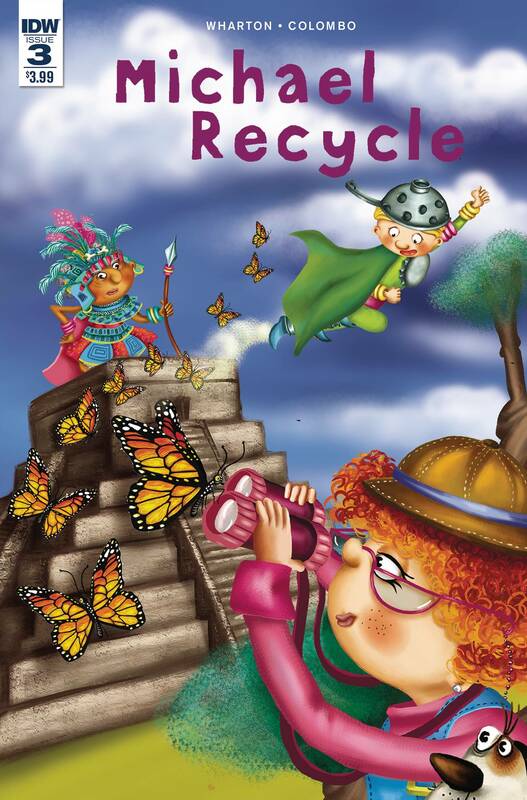 Bullet points: Young readers who have enjoyed the Michael Recycle books and their eco-friendly messages can now thrill to more adventures in comic-book form! Children are becoming more and more aware of the environment around them, and Michael's green tips help them become responsible at an early age. Alexandra Colombo's charming art will captivate readers of all ages.